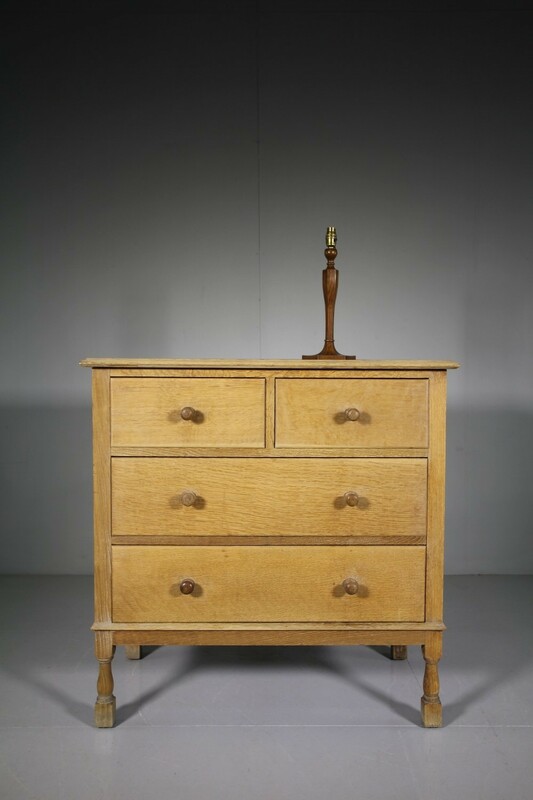 This is a lovely quality, solid English oak chest of drawers made in the twenties by Heals of London for Magdalen College, Oxford. 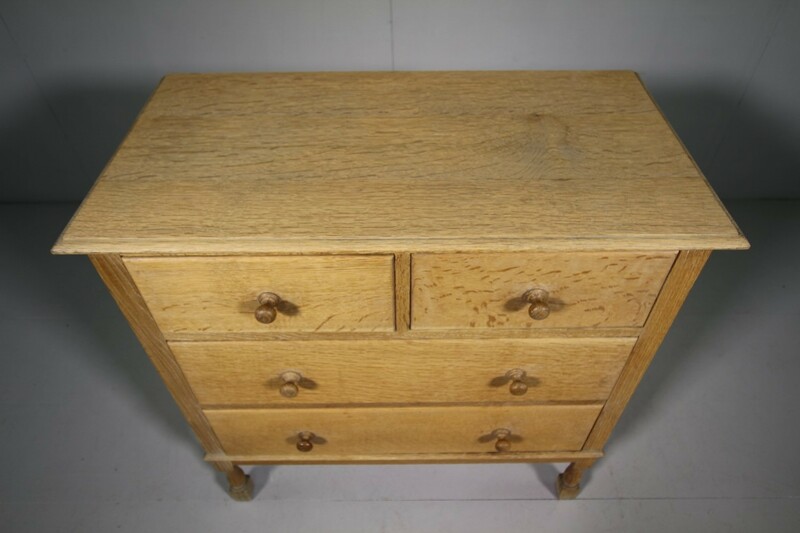 This Heals oak chest has two short drawers over two long drawers, all run smoothly and have the original oak turned handles. 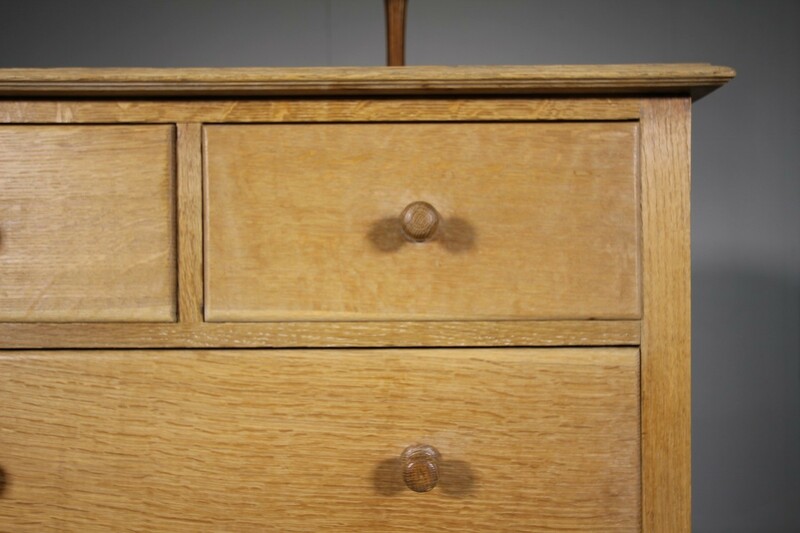 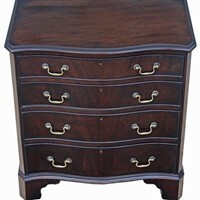 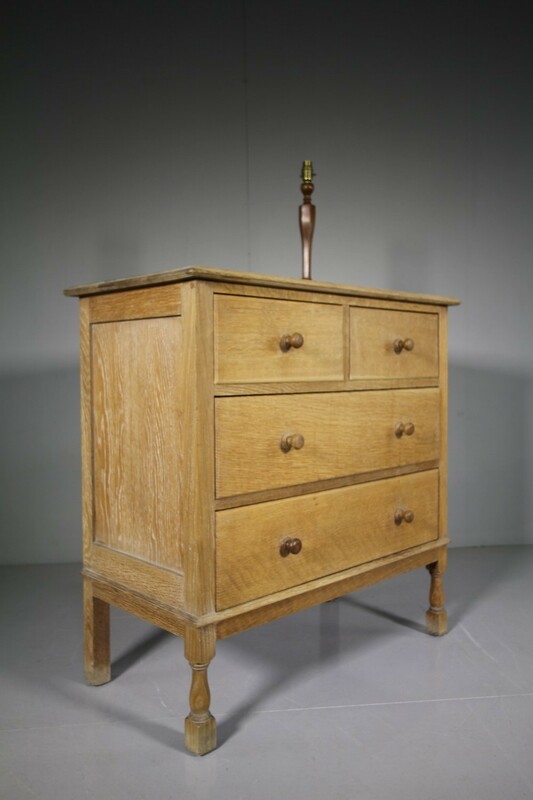 In very good condition throughout, the oak chest top has a moulded edge and the chest stands on turned front legs. 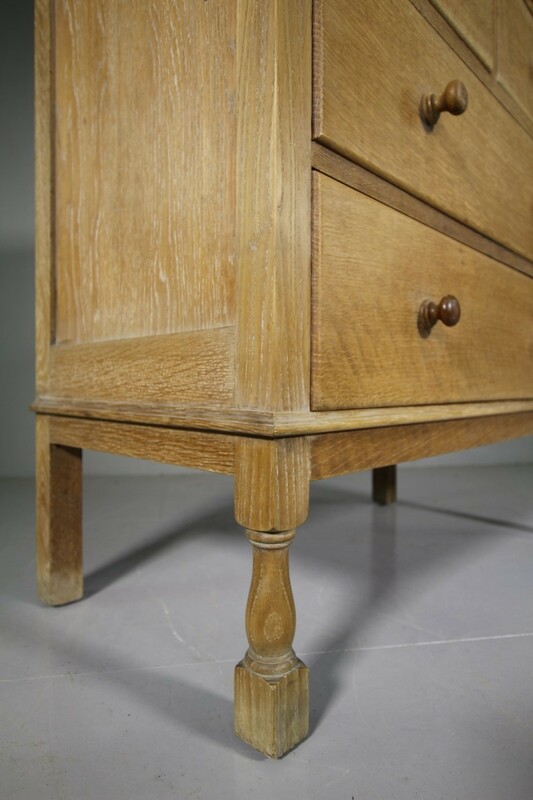 A lovely model.